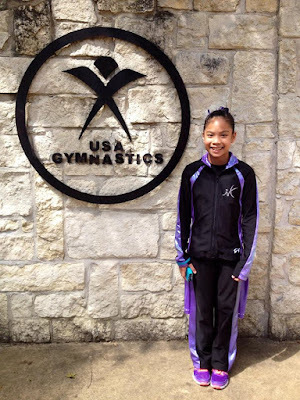 U.S. senior gymnast Kaitlin DeGuzman, who turns 17 later this month, will represent the Philippines at the 29th SEA Games in Kuala Lumpur, Malaysia, which begin on 17 August. 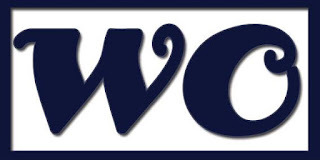 Despite competing at such U.S. national competitions as P&G Championships, U.S. Classics and the Nastia Liukin Cup in the past, DeGuzman decided to follow her parents’ steps and represent her native country, before joining the Oklahoma Sooners next year. DeGuzman was born in Mandaluyong City, Philippines, but lives in Rowlett, Texas with her family. DeGuzman made up her mind last March, when she was contacted by the Gymnastics Association of the Philippines, asking her to join the Philippine National Team. DeGuzman competed at the Senior Asian Championships in Bankok last May, where she delivered Level 10 routines, as she was not given enough time to train her elite routines. She still managed to finish seventeenth in the all around with a 45.600, the highest score of her team. DeGuzman said that the Senior Asian Championships were ‘a great experience’, and that she learned a valuable lesson for the upcoming SEA Games. ‘I tend to overthink and I get sick, so I need to stay calm and pray and be positive and just enjoy the moment’, she explained. At the Asian Championships, moreover, DeGuzman got to see 2017 World Cup champion Liu Tingting of China, even though, she reflected, the competition did not compare to competing with Simone Biles, Aly Raisman and Gabby Douglas at the P&G Championships last year. Despite competing for the Philippines now, DeGuzman still trains at Metroplex Gymnastics in Texas, and competed in elite-level competitions in the United States. She competed at the U.S. Classic in 2015 as a junior, tying for twenty-sixth in the all around, and in 2016 as a first-year senior, finishing twelfth in the all around and eleventh on the uneven bars. Last year she also competed at the P&G Championships, where she finished twenty-first in the all around. 2017 marks the twentieth anniversary of the Philippine gymnastics team’s victory at the 1997 Southeast Asian Games. A member of that team was Kaitlin’s mother, Tammy DeGuzman. Her daughter is now following her footsteps, as well as her husband’s, who was a water polo player also for the Philippines. Being a member of the Philippine gymnastics team is a great opportunity for DeGuzman to get to know her native country better, before starting university in the United States in 2018. ‘(Being) with the Philippine team gave me an opportunity to get to know my hometown teammates, see a part of Asia, experience a different culture, travel, and be able to be a part of another team and make friends’, she explained.